U.S. crops at risk of "abrupt and substantial yield losses"
A study published in Nature warns that some of the most important crops in the U.S. are at risk of "abrupt and substantial yield losses" from rising temperatures later this century, with harvests potentially declining by 20% for wheat, 40% for soybean and almost 50% for maize. Some of the most important crops in the U.S. are at risk of substantial damage from rising temperatures. To better assess how climate change is likely to impact wheat, maize and soybean, an international team of scientists ran ultra-detailed computer simulations of past, present and future yields. These were shown to accurately reproduce the observed reduction in past crop yields induced by high temperatures, thereby confirming that they captured one main mechanism for future projections. Importantly, the scientists found that increased irrigation could help to reduce the negative effects of global warming on crops – but this is possible only in regions where sufficient water is available. 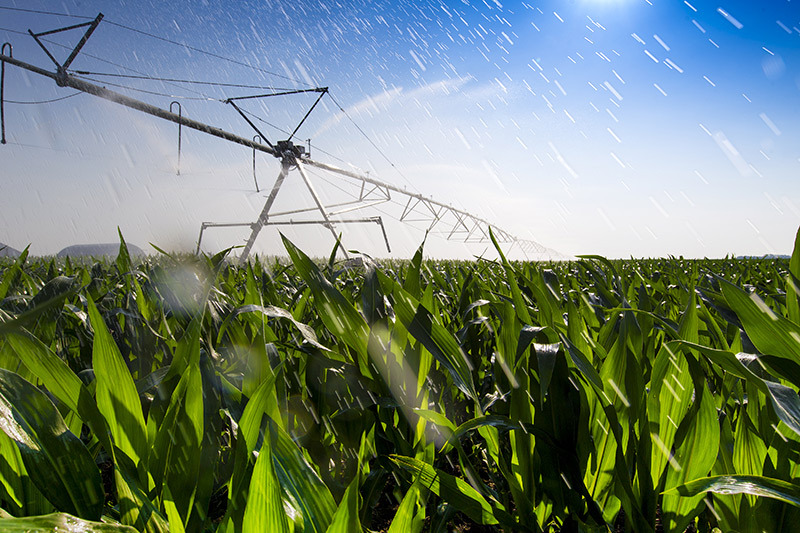 Ultimately, limiting global warming is needed to keep overall crop losses in check. In their work, the scientists compare the model results to data from actual observations. This way, they can find out if they include the critical factors into their calculations, from temperature to CO2, from irrigation to fertilisation. For every day above 30°C (86°F), maize and soybean plants can lose 5 percent of their harvest. The simulations developed at the Potsdam Institute show that even small heat increases beyond this threshold can result in abrupt and substantial yield losses. Such temperatures will be more frequent under unabated climate change and could severely harm agricultural productivity. Harvest losses of 20 percent for wheat, 40 percent for soybean and almost 50 percent for maize, relative to non-elevated temperatures, can be expected by the end of this century without substantial emission reductions. These losses do not even consider extremely high temperatures above 36°C (97°F), which are expected to lower yields further. The effects go far beyond the U.S., one of the largest crop exporters: world market crop prices are likely to increase, which is an issue for food security in poor countries. This will be a particular concern as demand for food increases due to both population growth and rising affluence. Burning fossil fuels elevates the amount of CO2 in the air. This usually increases the water use efficiency of plants, since they lose less water for each unit of CO2 taken up from the air. However, this cannot be confirmed as a safeguard of yields at high temperatures, the scientists argue. The additional CO2 fertilisation in the simulations does not alleviate the drop in yields associated with higher temperatures above 30°C. The study, "Consistent negative response of US crops to high temperatures in observations and crop models", appears this month in Nature.